Even the most prepared mom, dad or childcare provider can be caught off guard by a sudden emergency. This custom magnet keeps emergency information at the ready when you need it most. Stick to the fridge for easy viewing. 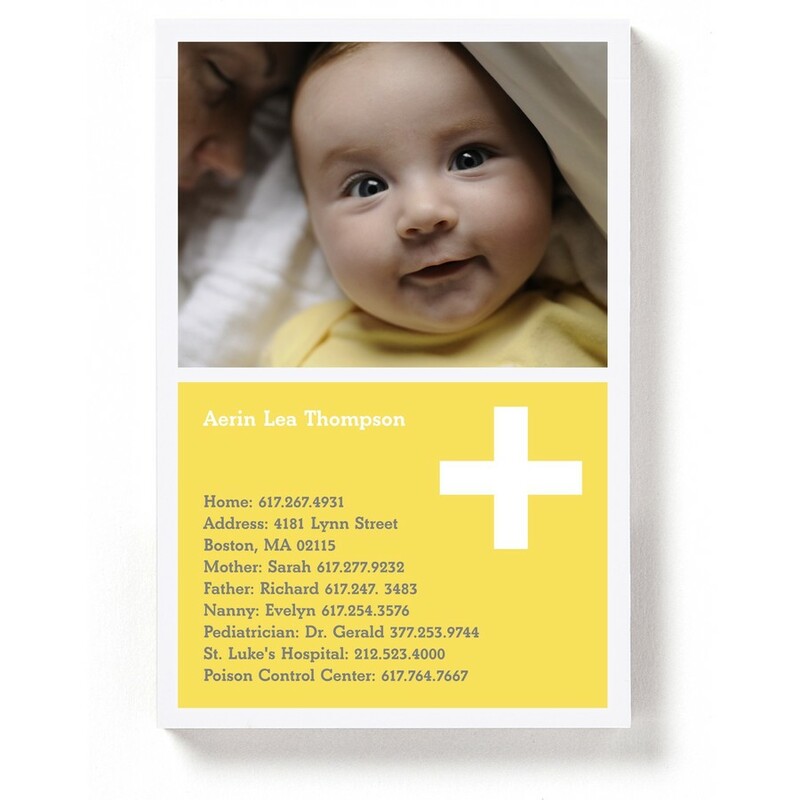 A great gift for grandparents, siblings, and anyone who takes care of your beloved babe.